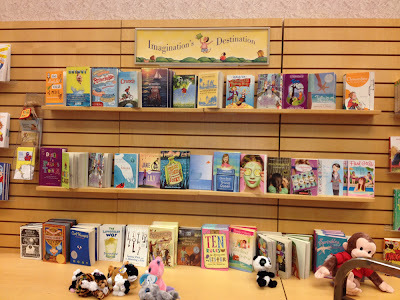 I can only conclude that picture books no longer warrant the prime real estate they had previously occupied for years. This is consistent with the New York Times report from a couple of years ago that parents are moving away from buying picture books in an effort to encourage independent reading (despite the fact that picture books have been shown to be excellent for teaching kids to decode and interpret, as they often contain more complex thoughts and language than early readers). 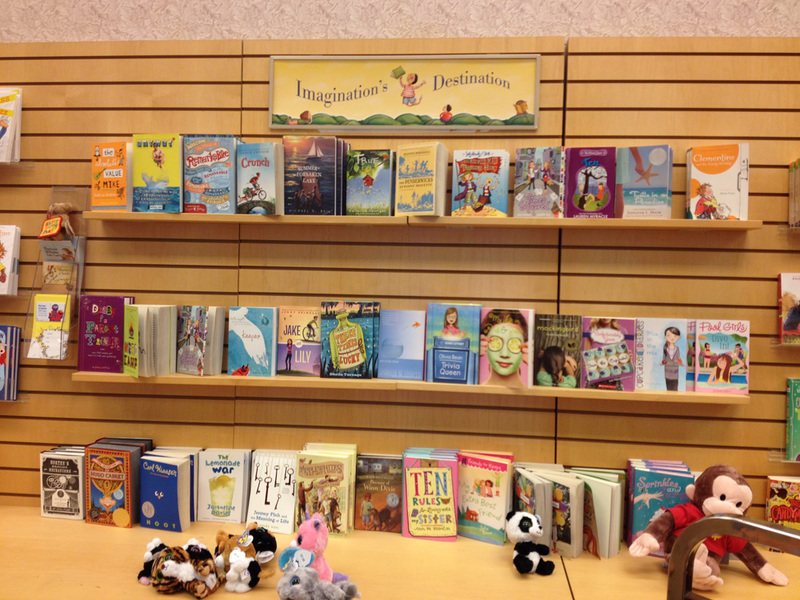 (Publishers and booksellers, however, refuted that premise and argued that picture books were alive and well). Interesting how seven of these books date to my childhood or earlier (Richard Scarry, Shel Silverstein, Dr. Seuss) and three are Caldecott winners. Commercial booksellers rely heavily on the classics and otherwise acclaimed books, probably because those are the books that continue to sell well. All of this, however, is a bit depressing to those of us who wish to break into the picture book market. What do you think? 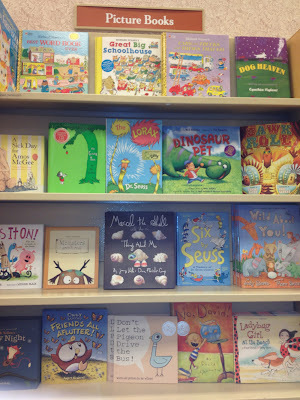 What do you see are the trends in picture books? Okay, so I go to this Yarns and Global place one to two times a week while my preschooler is at school. My toddler can be fascinated by the books and train table there forever and ever and when I am not reading to him, I read what's on their shelves. I have noticed that the PBs have shirfted in location. They changed their location right before summer hit. 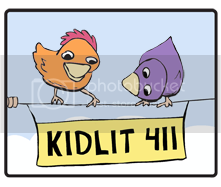 Now, I am not sure, but I am wondering if tthey were replaced by middle grade novels for summer reading incentives and now that school is back, if they will be rearranged once again for some other seasonal purppose. 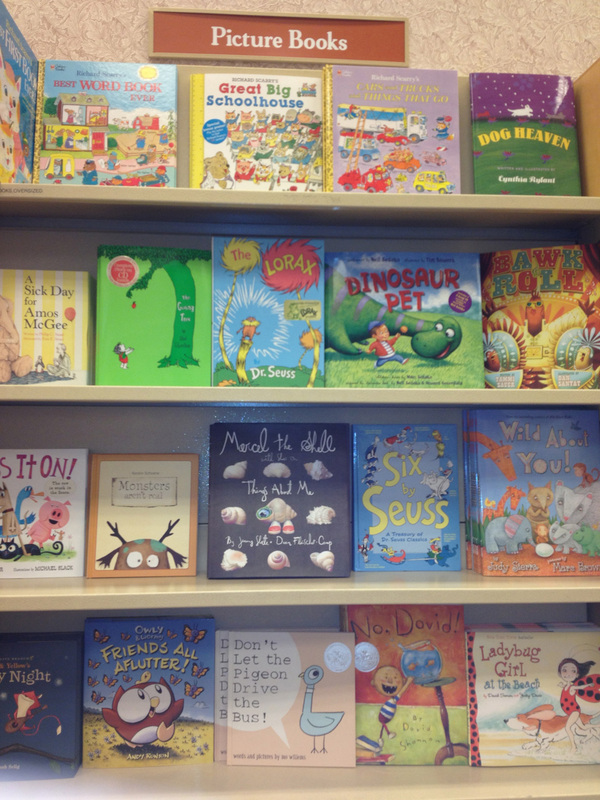 I was amazed, last time I went, at the rather pitiful picture book selection. 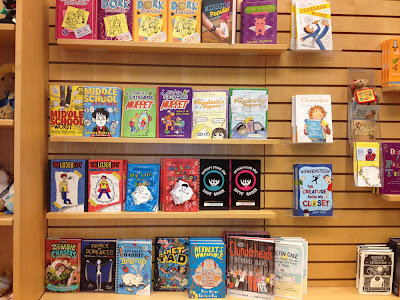 The vast majority of PBs on the shelf fell into just a few categories: classic and/or very well-known books; less known books by either well-known authors or celebrities; and series books (e.g. Pinkalicious). I'm not saying those books don't deserve to be there, but really...it would be nice for a few other books to be included for a change. I've been trying to read a bunch of recently published PBs to study. They are difficult to come by at my local library so I went to the local bookstore to do my PB study there. The shelves were exactly like the ones you pictured- nothing but graphic novels and illus. CB. There was a small table of PB but they were the classics. It is disappointing and discouraging. 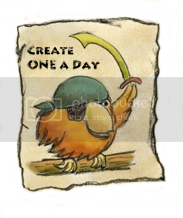 I am going to have to consider the picture book app genre. Sad to hear. I'd love to be able to walk in the above mentioned bookstore! None where I live. Ouch on the PB market. I hope it's just a summer trend.